The bombshell discovery kicked off a frenzy of speculation and investigation within the Destiny community, led by the popular YouTuber Datto, who worked with the room’s finder to try to recreate the conditions that led him to the room. At first the discoverer told people he wouldn’t share his secret; later, he admitted his group had found it by accident and didn’t know how to open the secret room again. In order to access the secret room, a raid group needs to hit these switches in a specific pattern, which may differ based on your platform—nobody’s quite sure about that. The two potential orders are “165243” and “416523.” Some say both have worked on PlayStation; others say only one of them has. The latter pattern seems to be for Xbox. One Redditor (darksplaze) made a helpful map that you can use to sort all this out. Whichever code the raid team goes with, if they do it right, they’ll be able to access a secret door that’s directly across from the area’s entrance, wayyyy over the gap. 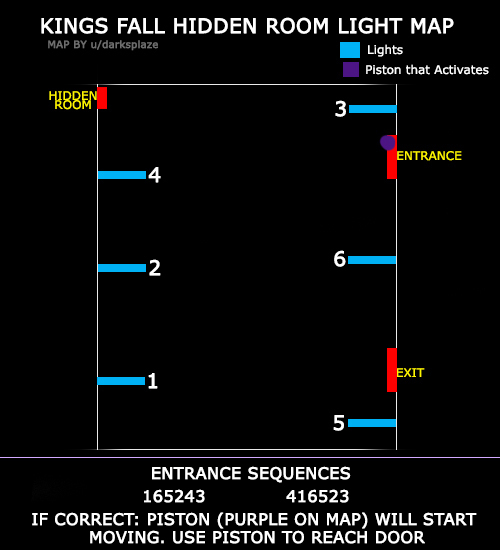 There are two ways to access this door: You can either have a Bladedancer chop his way through the air... or you can stand in front of the piston to the right of the entrance—which is stationary at first but starts moving once you’ve activated the light spikes—and let it propel you to the hidden room. Yes, it’s as ridiculous as it sounds. Inside this secret room is an exotic chest containing the Sleeper Simulant. Just kidding. There’s actually a statue, a relic, a bunch of vents, some runes, and a whole lot of questions. Players have figured out that dunking the relic into the statue will light up a rune, and that lighting up all six runes will grant the party a buff called Overcharged, but nobody knows what to do after that. And now... well, now we wait for someone to figure this puzzle out. Destiny secret-hunters have experimented with all sorts of theories involving the relic, the other secret room, Golgoroth’s gaze, the Deathsingers, and pretty much everything else you can access in the vicinity of the Mario platforms, but as of right now, nobody’s found any solutions. Of course, it’s possible that we weren’t meant to discover this secret room yet and that it won’t actually do anything until we get access to the hard-mode version of King’s Fall, if there is one. That’s my theory. After all, the raid chest armor has a buff that gives you extra armor when you’re holding the King’s Fall relic, but as of right now there’s nowhere in the raid where that buff is actually useful. The only time you hold relics is when you’re opening the portal at the beginning of the raid, and there’s not a lot of need for an armor buff there. It doesn’t apply when you’re grabbing the brand in the Deathsinger and Oryx fights. So what’s the point? 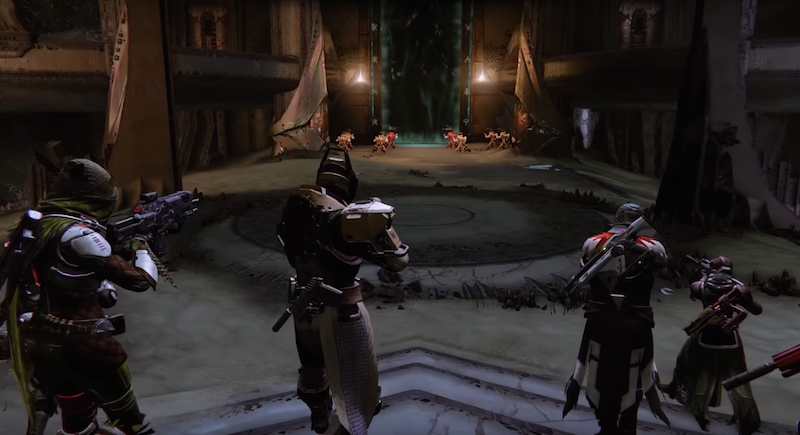 Well, what if, in the heroic version of King’s Fall, you can actually find a secret optional boss in this mysterious secret room? And what if you have to use that relic both to summon and to defeat him? LET THE SPECULATION BEGIN. So do you believe that? Or do you think there’s something here he’s not telling us?